It’s official: Microsoft announced it will discontinue updates to Windows 7 in a year. According to GHacks, this means systems running on Windows 7 will not get updated on security and bug fixes in hopes that both organizations and individuals will switch to Windows 10. This is no surprise, as the news broke a while ago and most likely the reason behind Windows 10 finally pushing out Windows 7 as the most popular Windows operating system, reported by The Verge. 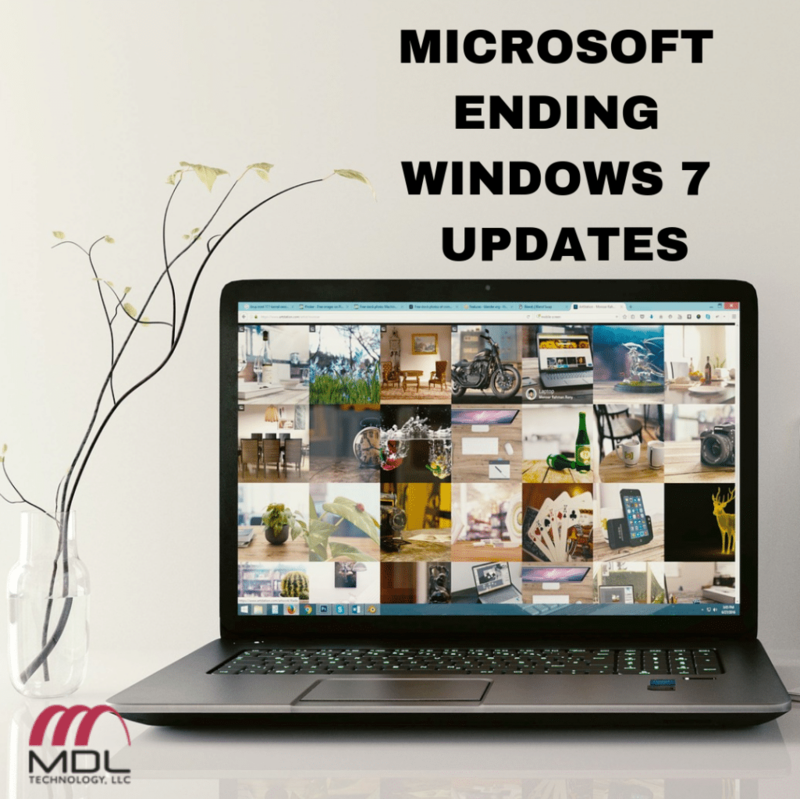 Windows 7 is still a widely used and popular operating system, but the time has come for the updates to stop. Microsoft is focusing its time and effort on Windows 10, which they promise to support until at least 2025, according to GHacks. The switch over to Windows 10 shouldn’t be a problem, however, according to Microsoft. They formed a special program called Desktop App Assure that tested 41,000 applications and found that though 7,000 of those had the potential to have compatibility issues, only 49 of those tested actually showed compatibility issues. This is less than a 1 percent chance that an app you are using will have compatibility issues. So for many, this should be an easy switch. If you really don’t want to switch to Windows 10, there are two other options, according to ZDNet. However, these are only available for businesses. You can pay a fee each year for three years to get Extended Security Updates (ESUs) if you are a Windows 7 Professional or Windows 7 Enterprise user with volume license agreements, and those with Windows Software Assurance or Windows 10 Enterprise or Education subscriptions can receive a discount, according to ZD Net. For all users, this price will continue to increase every year over the next three years. You can purchase the Microsoft Windows Virtual Desktop (WVD), which will receive free ESUs. This program is designed to virtualize Windows 7 and Windows 10, Office 365 ProPlus apps and other third-party apps by running them remotely in the Azure virtual machines. You will be able to virtualize Windows 7 for three years after support ends using WVD, which has not been released to the public yet but is expected to arrive in the next few months. MDL Technology, LCC, is a proud Microsoft partner, offering the best in customer relationship management services using Microsoft Dynamics 365 Great Plains. Learn more on our website.